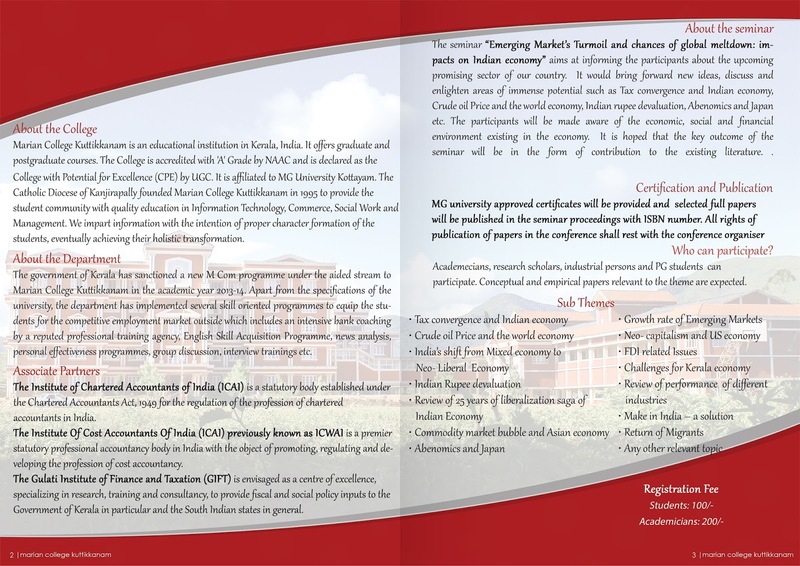 Greetings from Research & PG Department of Commerce, Marian College Kuttikkanam!!! Its our immense pleasure to announce that we are conducting a National Conference on 'Emerging Markets Turmoil and Chances of Global Meltdown: Impacts on Indian Economy' on 8 March 2016. 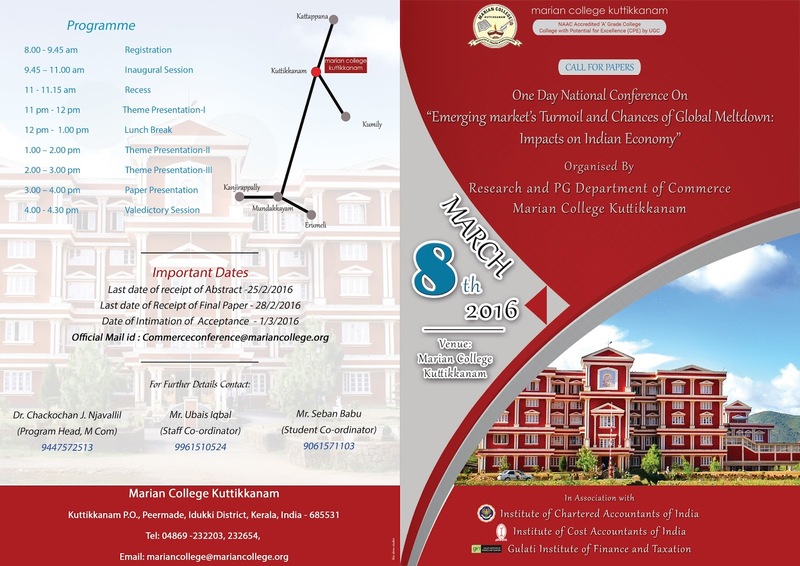 We invite Academicians, Research scholars, PG Students and Industry delegates to contribute to the conference in terms of paper presentations and participation. Please find the attached details of the event.